When asked about his religious beliefs, the Dalai Lama states simply that his religion is that of 'kindness'. To this he adds, "We can live without religion and meditation, but we cannot survive without human affection." His open heart, his open mind and his joyful spirit serve to inspire and incite goodness in the hearts of all who have chosen to seek a spiritual path or simply observe the good old fashioned golden rule. 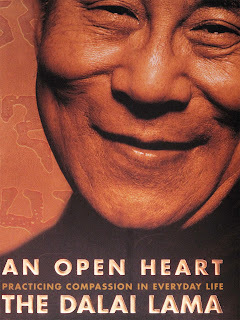 The Dalai Lama is the only spiritual leader in the world whom I truly admire and look up to.